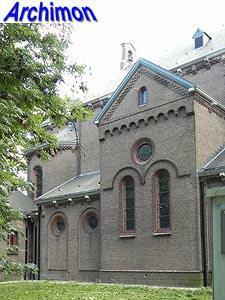 During the Reformation the catholics of Kethel lost their church to the protestants. 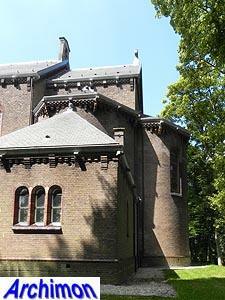 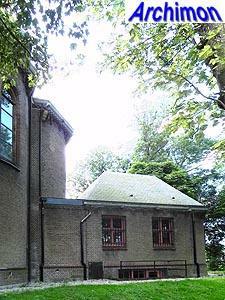 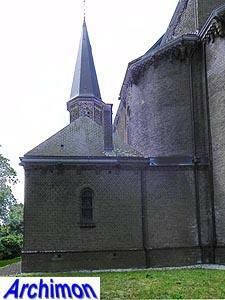 In 1648, when the Eighty Years War ended, a room in a house outside the village was used as a hidden church. 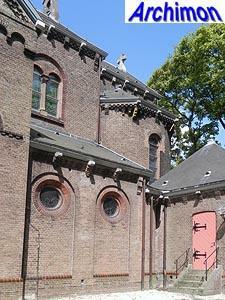 In 1743 this church was enlarged, although it still did not look like a church. 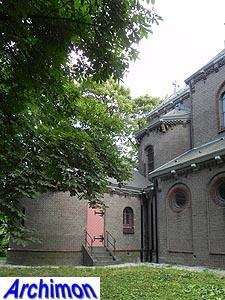 This changed when in 1820-1821 the building was lengthened and a new front with a tower was added. 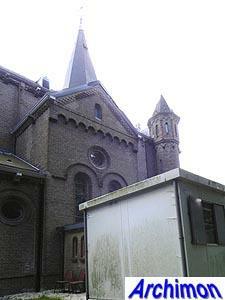 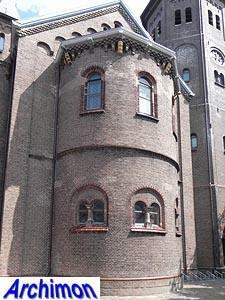 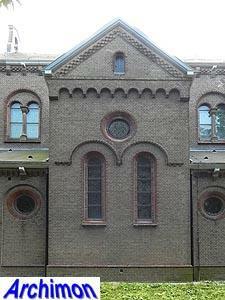 In 1834-1835 the narrow windows were replaced by bigger, more 'church-like' ones. 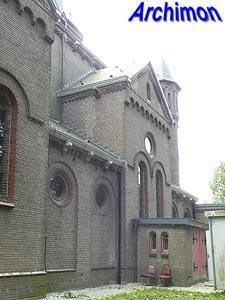 In 1887 the church had become too small, and plans were made to replace it. 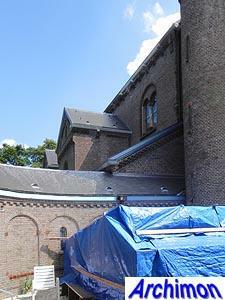 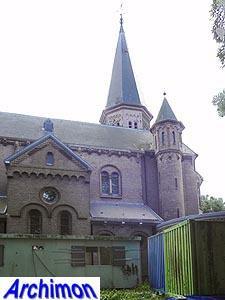 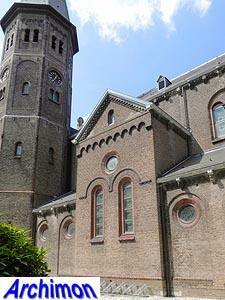 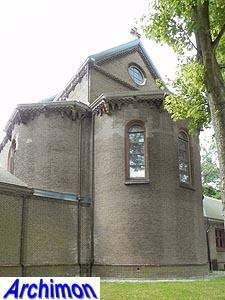 Architect A.C. Bleijs was commissioned to design a new church. 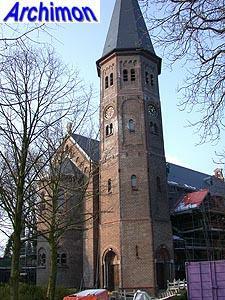 The church he designed is a basilica in Neo-Romanesque style, a bit unusual for that time. 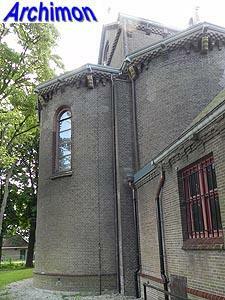 The church is not oriented and has the choir at the north end instead. 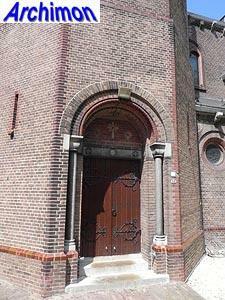 Bleijs was obviously inspired by two Romanesque churches in the province of Limburg, the O.L. 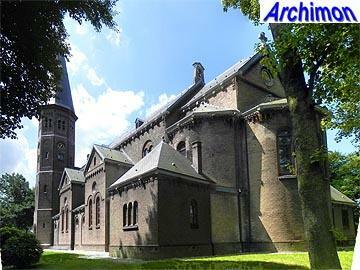 Vrouwekerk in Maastricht and the church of Rolduc abbey, as he copied the alternating higher and lower traves of the side-aisles, or pseudo-transepts, of these churches. 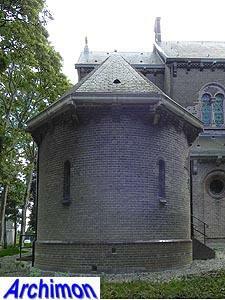 Bleijs used marlstone from Limburg to clad the walls in the interior. 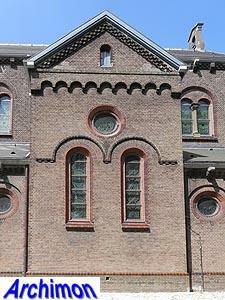 While the choir is basically rectangular, lower semi-circular apses at its back and both its sides give it a cloverleaf shape. 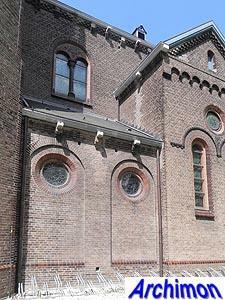 The choir is flanked on both sides by additional constructions; a square one at the east side, while the one at the western side is longer and has a semi-circular facade. 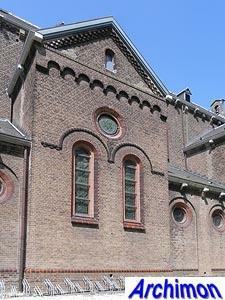 The front of the church at the south side has a apse much like the ones of the choir but divided in two storeys. 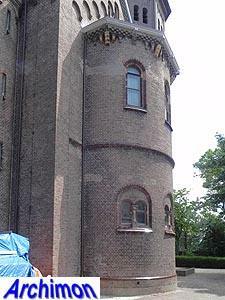 Two towers flank the front; a cylindrical stair-turret at the western side and a taller octagonal tower at the eastern side. 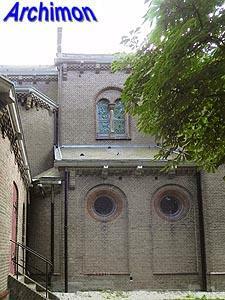 At the west side a curved passage connects the church and the presbytery. 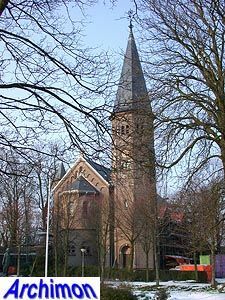 While the old hidden church stood well outside the village, its successor became the center of a second settlement on Kethel proper soon after its completion.